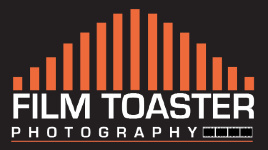 FilmToaster: world's fastest multi-format film platform. 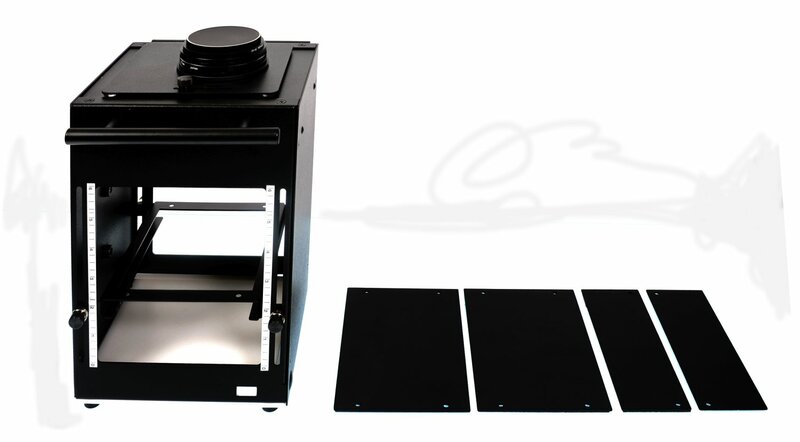 $1499 - Film Toaster Film Duplicator with Metal Side Plates is a platform with which you can mount your own full frame DSLR with macro lens and make digital copies rapidly and quality/resolution-wise, to the limits of your supporting camera. Film Toaster is designed for advanced and professional photographers, film photo enthusiasts, museums, digital archiving institutions, and those still using film cameras. Combined with today’s rapidly changing digital technology, in reality it is a “miniature desktop darkroom.”Included Side Plates block extraneous light. The 16 gauge metal platform measures only 6X6X9 and custom-crafted with sixty-five CNC stages. Unique among all other film duplicators, the Film Toaster digitizes 35mm, medium format film rolls and 4x5 sheet film. Film holders must be ordered separately.